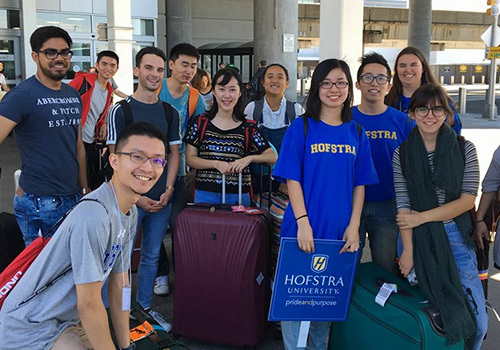 Hofstra University’s International Student Affairs office serves more than 1,300 students from over 70 different countries. This opens the door for some big challenges—and enormous opportunities. 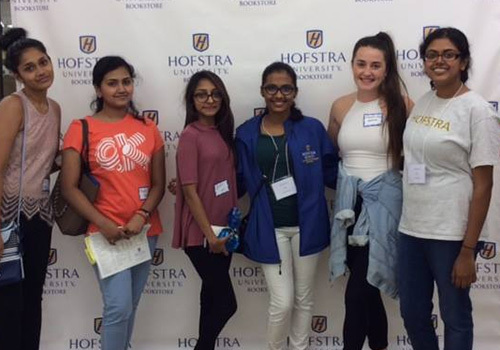 To help these new students acclimate to their adopted country and campus, Hofstra partnered with its Barnes & Noble College operated bookstore to welcome them to their new home away from home. According to Jennifer Christ, director of International Student Affairs at Hofstra University, located in Hempstead, Long Island, New York, there are often cultural adjustments for these students, including adapting to new social, academic, or personal norms. But there are logistical matters as well. And that’s where the bookstore’s International Student VIP Night comes in. Moreover, according to Christ, the International Student VIP Night connects the latest members of the Hofstra Pride—as the school’s 17 athletic teams are called—to school resources, showing them all the bookstore has to offer and providing the opportunity to purchase necessities right when they’re most needed. Because the student post office is located in the bookstore, students also get an early lesson on how to send mail and receive letters and packages. “This is especially important for international students, since it’s one way they’ll communicate with their families—and mail is different in their home countries,” says Hofstra University Bookstore Manager Steve Babbitt. According to a 2015 report by the Institute of International Education, the number of international students enrolled in U.S. colleges and universities had the highest rate of growth in 35 years, increasing by 10 percent to a record high of nearly 950,000 students. “More international students are studying in the United States, and it’s become apparent that we need to focus on them and provide extra support to meet their unique needs,” says Sherry Fang, Barnes & Noble College’s Consumer Marketing Specialist. According to Fang, the emails have been well received, garnering high open rates and click throughs. “International students can purchase items from home, including textbooks, and pick them up in the store. That’s huge when you’re coming from abroad,” she says. The emails link students to merchandise and textbooks they need for the upcoming academic year, creating an important connection to the students’ new school and preparing them for the first day of class. 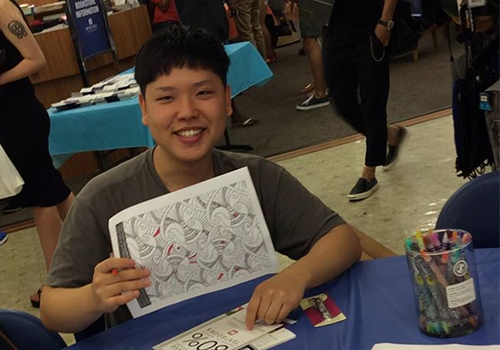 But perhaps the most important connection cemented during International Student VIP Night was the bonds students made to one another while participating in some low-key, informal activities. Working with his assistant, Darlene Leininger, Store Manager Babbitt created a relaxed night with food and fun. “We had a make-your-own cupcake station, a photo booth, board games, a social area, and a coloring table, which they really liked,” he says.